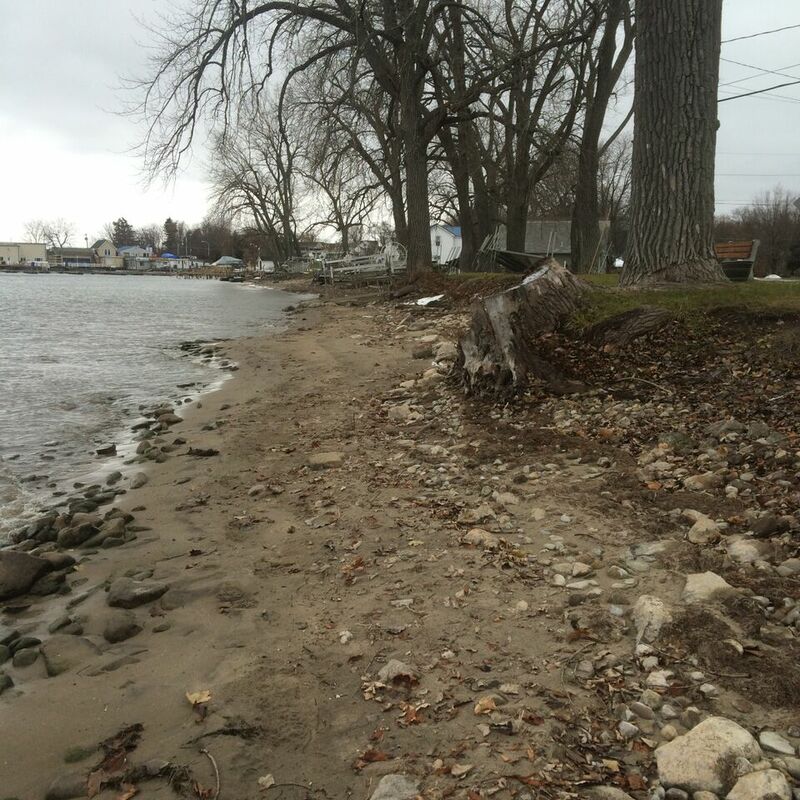 C. Manage habitat for fisheries and wildlife along this shoreline that is eroding away so quickly over the last 5 years due to changes in weather and water levels. 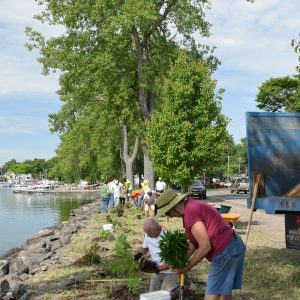 The District went to the Town of Sodus looking for a possible project to demonstrate a new design technique called a living shoreline, which encompasses textile materials, rip rap but also living materials such as soil, woody plants, trees, shrubs and perennials to help absorb runoff nutrients before entering Sodus Bay. 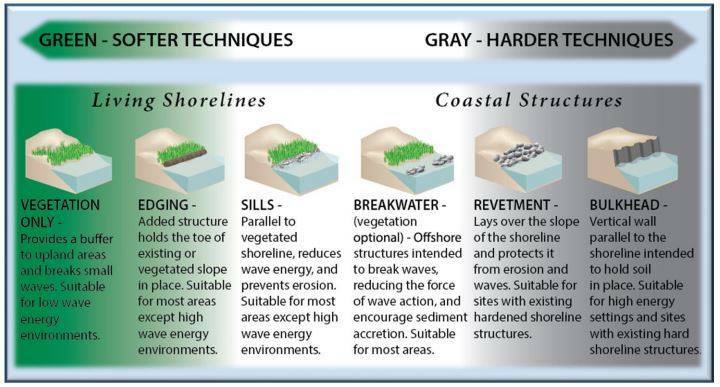 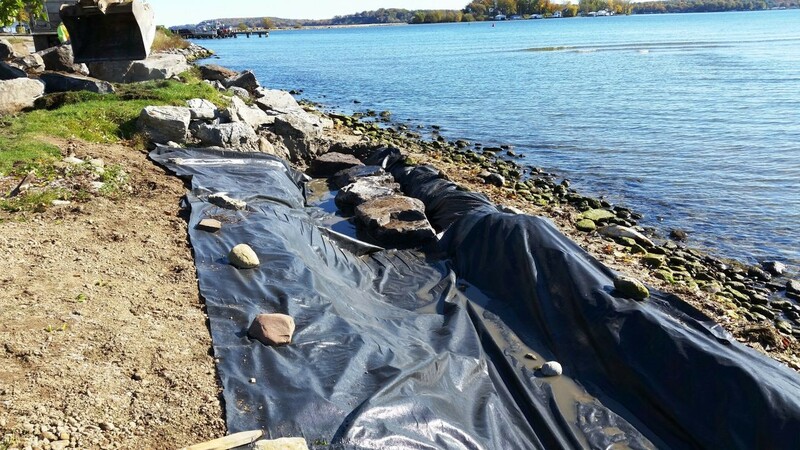 This technique is also being utilized along the Lake Ontario Basin to help landowners manage their waterfronts from the rapidly changing weather patterns to address wind, storm, and standard erosion problems with certain soil types. The Town quickly facilitated the conversation between Mayor Chris Tertinek for the Village of Sodus Point. 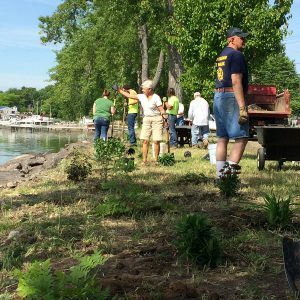 Mayor Tertinek and the District met on site to review the location. 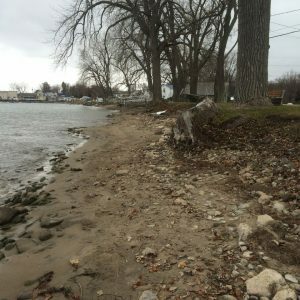 Some of the biggest problems associated with site were the significant loss of soil due to increased storms, higher ice formations, and wind/wave action over longer seasons that were impacting the utility poles and would eventually impact the sewer main that runs beneath the bike path along Wickham Blvd. 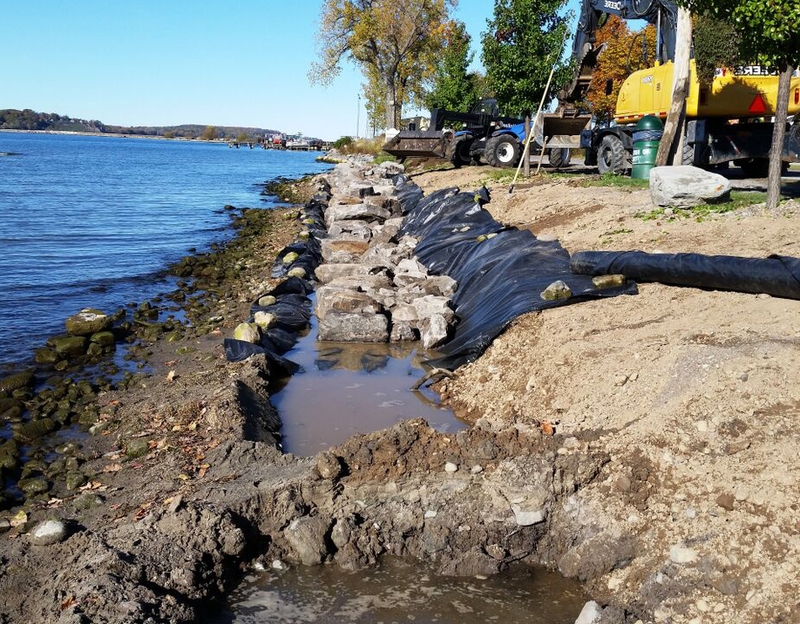 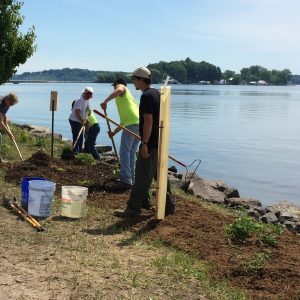 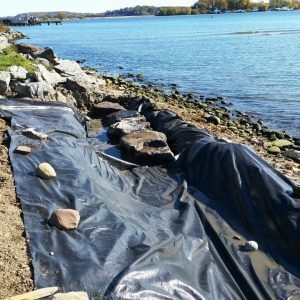 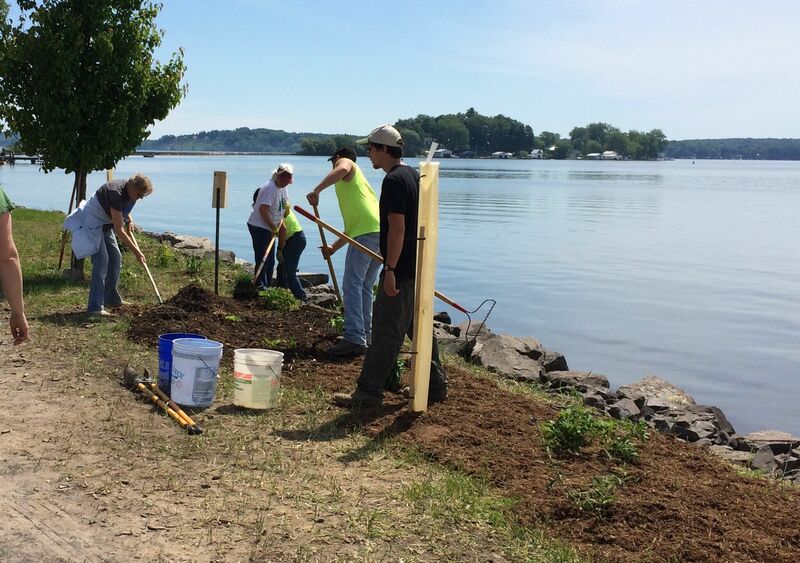 The application was submitted to New York Sea Grant under the project name of Wayne County Shoreline Resiliency Restoration and Protection of Sewer Resource Management for the Village of Sodus Point. 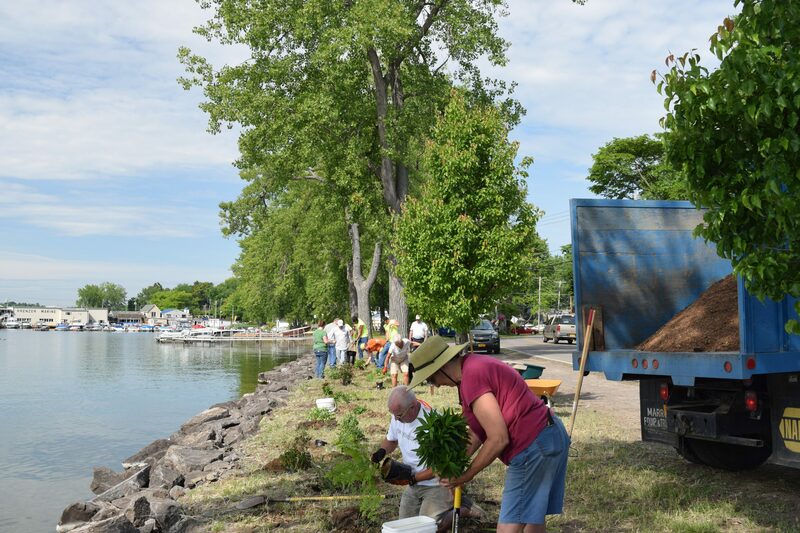 In addition to the funding received through New York Sea Grant, the Finger Lakes Lake Ontario Watershed Protection Alliance (FLLOWPA) will be cost sharing funding to support this project. 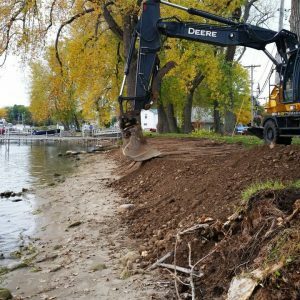 In partnership with the District, construction began the week of October 19th, and will be completed next spring including a landscaping plan and interpretive signage. 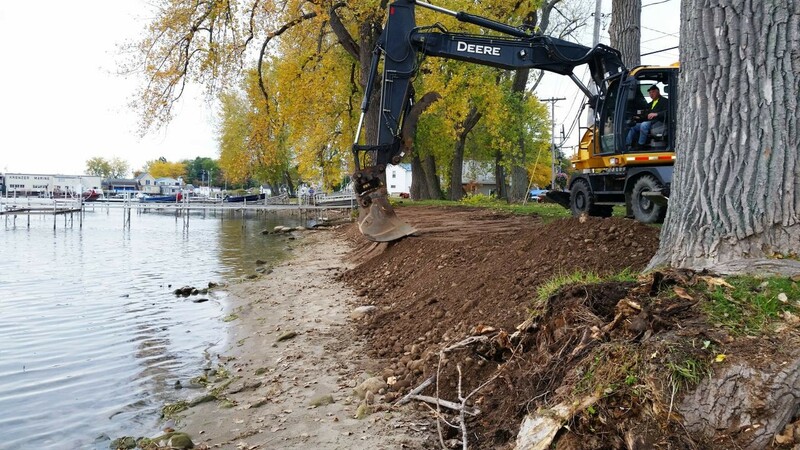 With great help from the Town of Sodus Highway Department and the Village’s long standing partnership with the Town of Sodus, the project is underway and when completed will make a huge impact not only for infrastructure protection, but also erosion control, fish habitat and other birds and wildlife documented to be living in the area which was part of the engineered and permitted design. 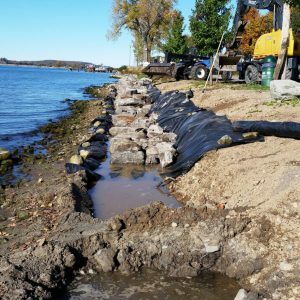 A demonstration day will be held in the spring months to review the project with the public and to show through “great partnerships comes great opportunities” for the protection of our natural resources and maintenance on infrastructure needs.